Cleaning your filter has never been easier. 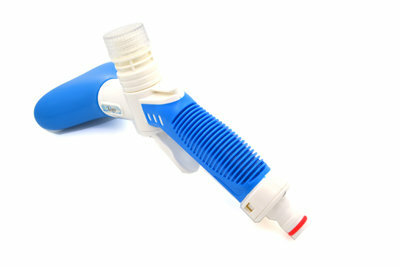 The Cyclone Filter Cleaner simply attaches to a garden hose. Precision engineered and built to last using the highest quality materials together with top quality bristles this trigger-controlled unit will reduce filter cleaning time and ensure a much cleaner filter, removing a lot more dirt, debris and grease than traditional cleaning devices. 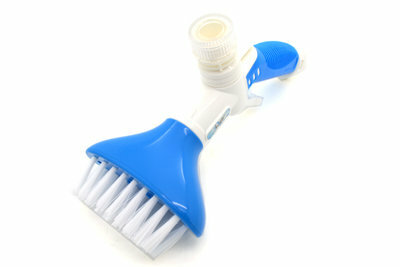 The bristles of the brushes have been designed to be tough yet sympathetic to the filtration media. Regular use of the New Cyclone allows filter cleaning in less time and it prolongs the life of the filter cartridge by leaving the treated filter cartridge restored to its previous condition. 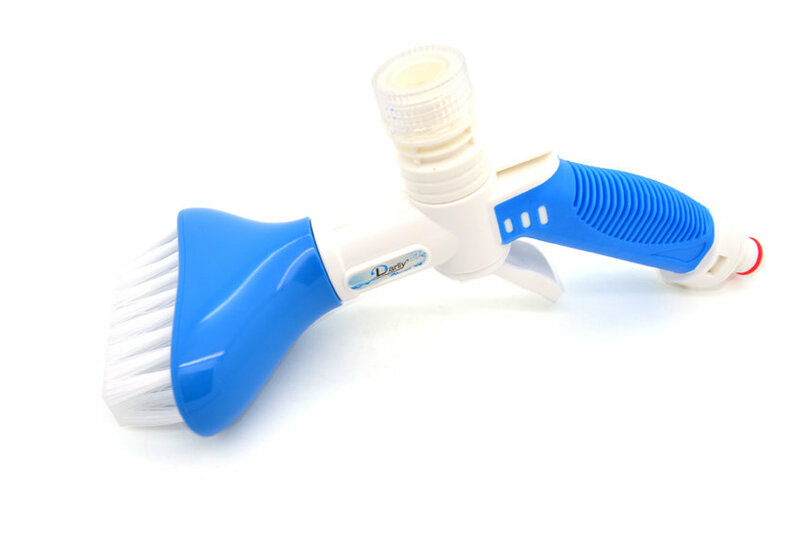 This is the first device on the market that uses brushes combined with high-power water jets and a cleaning fluid chamber which ensures the ‘Brush and Flush’ action not only makes for effortless yet intensive filter cleaning, deep into the cartridge pleats, but also is better for the environment because less water is used! 1.Attach Cyclone to a hose using the hozelock connector. 3.Use the trigger and spray the cleaner/water mix into the filter using the brushes to remove any unwanted debris. 4.Once the cleaning liquid has been used up leave the filter to stand for at least 1-2 hours (10 minutes with Instant Cartridge Cleaner). 5.Then without filter cleaner liquid just use the water spray and brush to remove any remaining dirt. 6.When finished leave the filter to dry overnight. 7.If possible use 2 filters in tandem, one in use, one drying to lengthen the life of both filters. This dual action cleans deeper in less time!